Sa mga salot sa lipunan ... TACSIYAPO!!! Sa mga mapagsamantala at masasama ugali ... TACSIYAPO!!! Sa mataas kong triglyceride at mababang HDL ... TACSIYAPO!!! Sa patuloy na pagtaas gastos sa lakwatsa ... TACSIYAPO!!! Sa mga fastfood na puro unhealthy ang pagkain ... TACSIYAPO!!! Sa mga taong unreasonable at tamad ... TACSIYAPO!!! Sa mga pulitikong gahaman sa kapangyarihan ... TACSIYAPO!!! Sa mga mahilig magdumi sa kalikasan ... TACSIYAPO!!! Sa mga di marunong magbayad ng utang ... TACSIYAPO!!! Sa mga di tumutupad sa usapan ... TACSIYAPO!!! 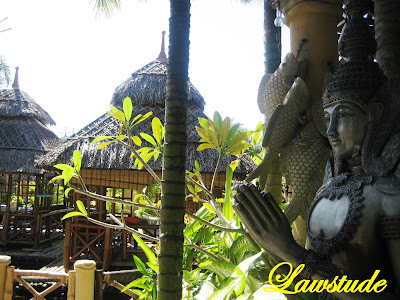 Whew... now that I have gotten these out of my system, it's now time to enjoy the amazing ambiance of Isdaan in Tarlac. 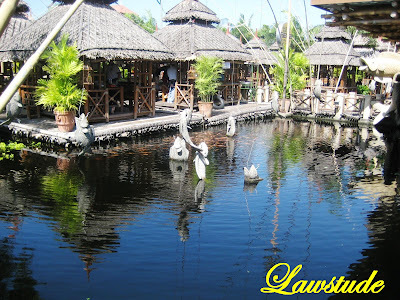 Located in Gerona, Tarlac (about three hours drive from Manila), Gerona is a good place for barkada and family trips because you can play around in floating restaurant and be entertained by the giant structures of monkeys, fishes, dinasaurs and others. 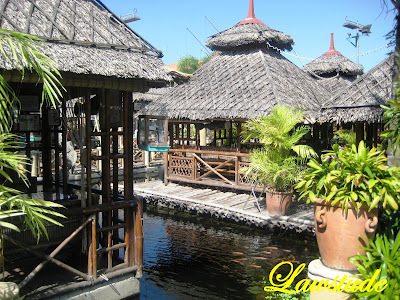 There are several floating huts with different beautiful views which will amaze, excite, and charm you. 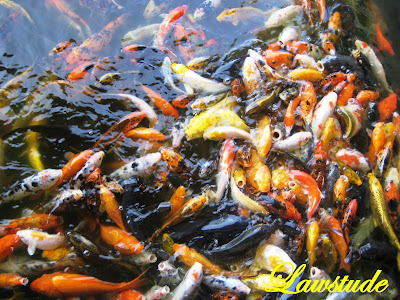 Once you arrive, they would give you free fish food so that you can feed the colorful koi fishes. There is even a game there where they will give you a kilo of fish for free if you happen to pass their Sankilo Bridge without getting wet. 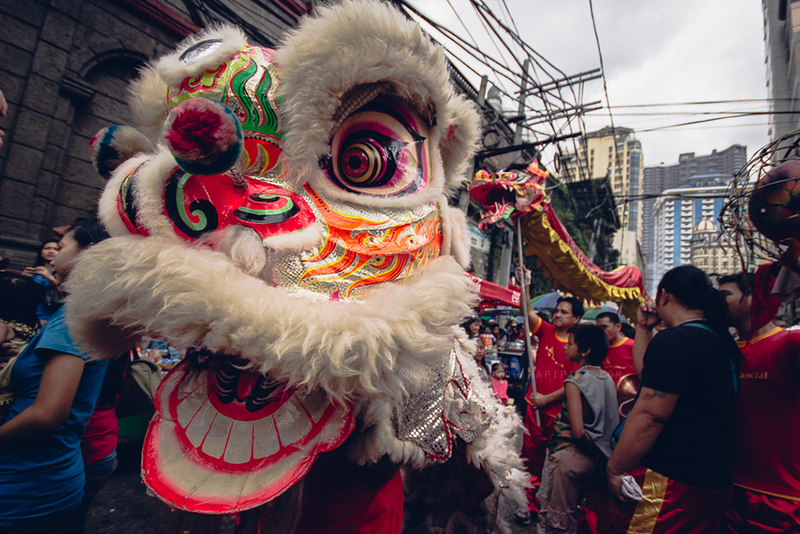 Hurdles include spitting and urinating monkey statues as well as large sea shells in the narrow path. 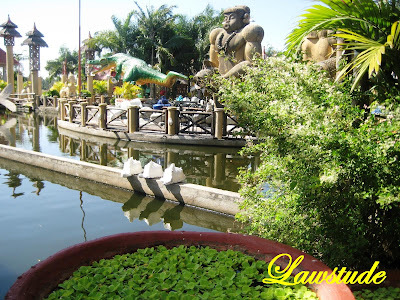 And while you are waiting for your order of native dishes, you can roam around the place full of statues of ancient gods surrounded by lush greeneries. There is also a wishing bell on one of the decks there where you have to touch the statue of a chinese god, then make a wish and joyfully ring the bell there. 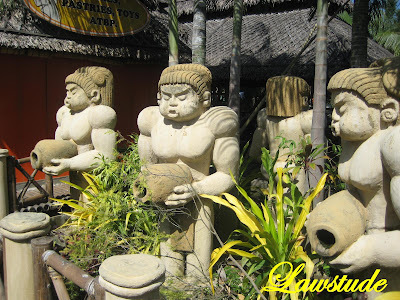 There are also statues of native tribesman holding jars where waters are flowing. Native cribs and baskets painted in different colors also adorn the place. Isdaan is a sister company of Barrio Fiesta so the menu consists mainly of Filipino dishes. Their specialty include sinigang soup serves in Bamboo containers and their fried chicken boiled in coconut milk before deep frying. 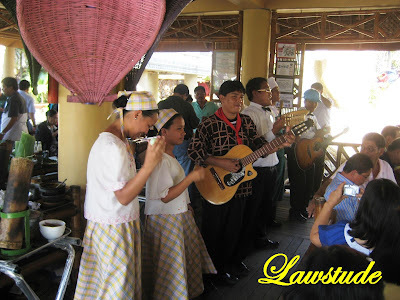 While you are having your meals, the Singing Cooks and Waiters will serenade you with Folk and Tagalog songs. 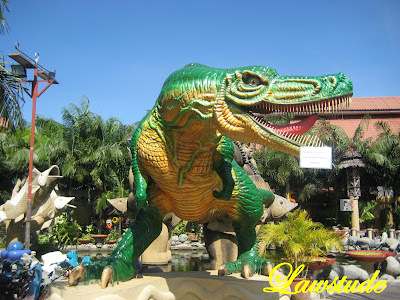 One of the main structure in the place is a large green dinosaur that will definitely excite the kids. A good place deserved a good company. With me in this trip were my lawyer friends Atty. Jenny, Atty. Zea and Atty. Sherilyn. 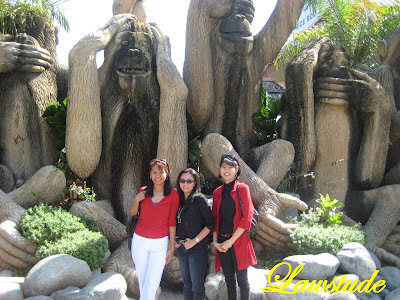 On their backgrouns were humungous stone monkeys with different expressions. By the way, TACSIYAPO in Tagalog means BWISET and in english, it translates to SHAME ON YOU!!! The Tacsiyapo Wall is dedicated to those persons who want to release their anger by smashing plates, cups, jars and even a TV set on the wall. Kayo? Sino sasabihan nyo ng TACSIYAPO!!! ? The sankilo Bridge sounds challenging! Sa mga may ari ng jeep at bus na sira ang tambutso...TACSIYAPO! Sounds fun ... To release anger that way ... TACSIYAPO! EMERIN SANTOS NG PLARIDEL, BULACAN TACSIYAPO. Siyempre naman si Gloria sasabihan ko nyan. GMA TACSIYAPO. Pwede bang sya na lang ihagis sa wall? TACSIAPO. Beautiful place. The photos are great! 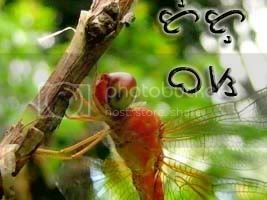 Para sa Teacher na manyak kung tumingin…..(throws big plate)…TACSIYAPO!!!! Sa mga USER na Classmates…(throws television)…TACSIYAPO!!! Thanks for the visit, by the way. Happy new year! Galing na ko jan at masarap talaga ang food.Kaya lang napakainit talaga ng lugar lalo na sa lunch time. I don't know how it is at night, probably cooler but doesn't the heat stay until evening? Sana they plant more trees to make it cooler. The heat from the road permeates up to the eating areas. I thought I would faint because of the afternoon heat. Grabe talaga init. Sa mga lalaking nangiiwan ng walang dahilan TACSIYAPO! Sa mga mahilig mang-indiyan TACSIYAPO! @ anino - the Sankilo Bridge is really exciting. There are instances when players fall-off the bridge so it is advisable to bring an extra clothing if you wanna join this game. i agree - mga bus at jeep na nagpapalala ng condition ng kalikasan ... TACSIYAPO!!! @ kyels - really fun, the sudden burst of anger while shouting can really make you feel good. @ jobless na cute - y not? basta ba papayag sya eh. i have an idea, dapat pala meron din picture frame na may picture ng mga taong gustong sabihan ng TACSIYAPO dun no? I bet mabenta doon si GMA. Lolz. @ alex - hello again, thanx for dropping by. 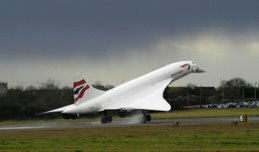 hey guys, check the blog of this Singaporean Guy living in UK. Galing. @ maki - biktima ka po ba ng sexual harrassment? idemanda natin hehehe. Sa mga SEXUAL HARASSERS ... TACSIYAPO!!! 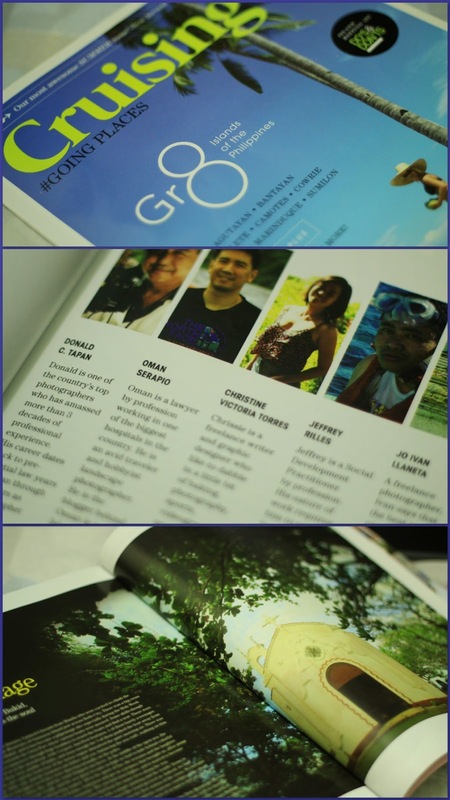 @ GMG - thank you sir again for the visit. just don't smash widescreen lcd flat tv or it will bring us another type of stress... oh ohh. 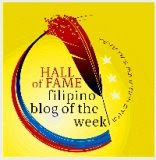 @ gypsy - pinoy ingenuity and entrepreneurship at its best. who would ever thought that you can earn money this way. lolz. @ gina - i agree. although the large statues help shade the area. sa mainit na panahon ... TACSIYAPO!!! Hello. I kinda agree with Gina that the place is too hot at noon. But its warmer at nights. Great food too. sa mga malditang consultants na nagpapa-bango sa mga kamag-anak ng pasyente... TACSIYAPO! Nakita ko to sa tv dati. interesting, makapunta nga diyan sa susunod na madaan kami sa tarlac. dapat bayaran ka nila para dito sa ad. parang palaisdaan nga...balinese ba yung garden? @ sidney - happy new year too and welcome back. my lawyers friends are not only intelligent, they are also pretty. really gives new meaning to the phrase "Your Honor". @ nicholson - i agree to, calling the attention of Isdaan. @ ruff nurse - geez, kailangan din siguro PR para mas kumita sila. Pero how do they do it? Sasabihin ba nilang gagaling din pasyente kahit terminal case na? Hmmmm. @ kris jasper angel - sarap kasi maglibot eh, dami pa promo ng airlines. 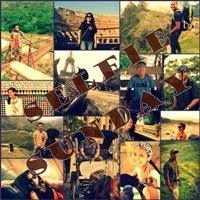 @ abad - yeah, if you are going north (Baguio, Sagada, Ilocos), this place is a very good stop-over. 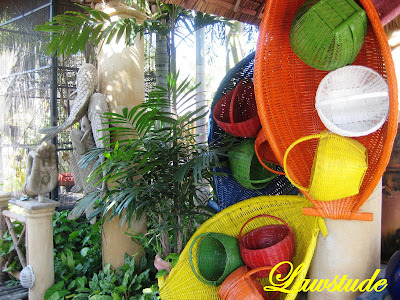 @ philippine dragonfly - halo-halo ang theme ng garden, may mga bhuddas sa pwede rin balinese. sabi ng iba para daw thailand-inspired. @ amateur misantrophe - indeed. punta ka na. @ acey - when you throw fish seeds at them, they will just show up in schools, and ganda talaga. para nga daw nasa thailand. @ win - hello. 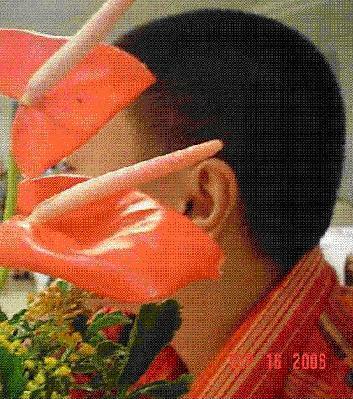 sino? 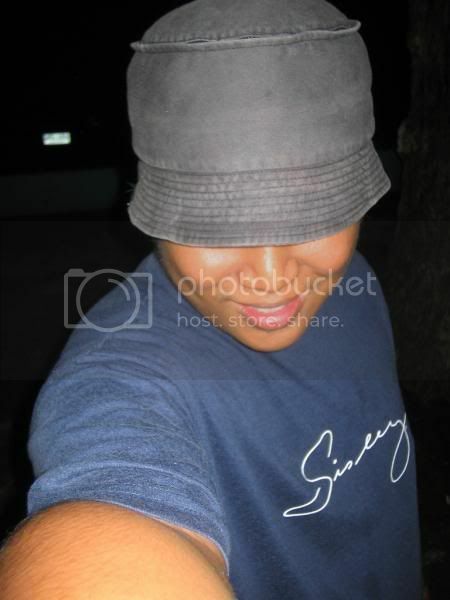 sir, si ricky sobrepena po.. nakita ko sya sa isang pic mo dito..
@ win - yeah, pareho kami batch 2006, he is such a nice guy. 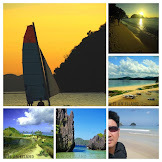 @ ferdz - if ur going north, try to have ur break there, its an amazing place. @ fence - we just throw some fish pellets and off they go, ang dami talaga.